Foolishness is not stupidity. It is a vice. But not the same sort of vice as cowardice or injustice. What are the main forms of foolishness? What is to be foolish? These lectures answer both questions and pay special attention to the roles of cognitive attitudes such as interest, the desire (not) to know and intellectual humility in foolishness and its avoidance. 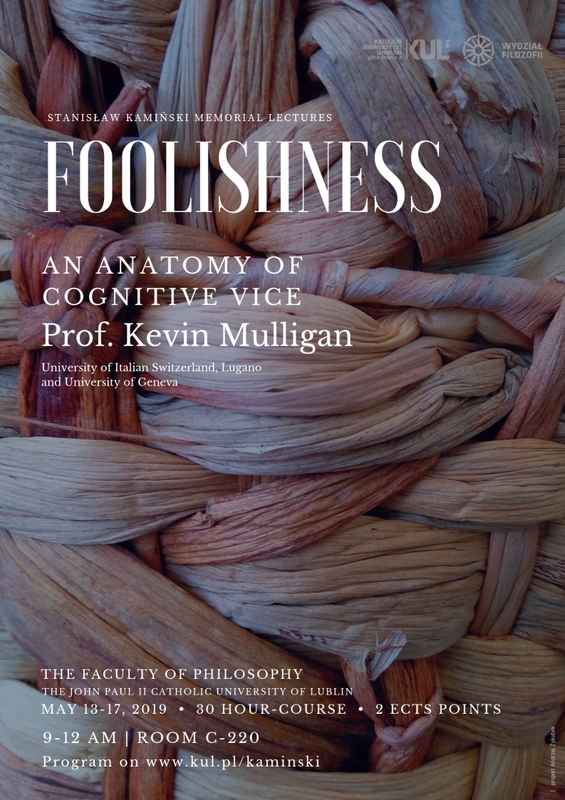 Mulligan, K. 2016 "Foolishness and the Value of Knowledge", ed. L. Zaibert, The Theory and Practice of Ontology, a Festschrift for Barry Smith, Palgrave, Macmillan, 241-268.